The Prime Minister has announced two important initiatives today, both of which are welcomed by the Association. A review of VET will focus on how the Australian Governments investment in Vocational Education and Training can more effectively provide people with the skills they need to be successful throughout their working life. It will also ensure that businesses have the skills they need to support business growth. 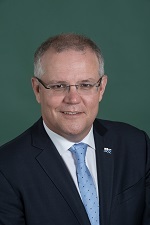 The Prime Minister also announced the lowering of the age threshold for Support for Adult Australian Apprentices (SAAA). It will now be aligned to 21 years old when Adult wage levels cut in under Modern Awards. This removes the disincentive effect to employ people between 21 and 24 years old that has occurred since the introduction of Modern Awards.